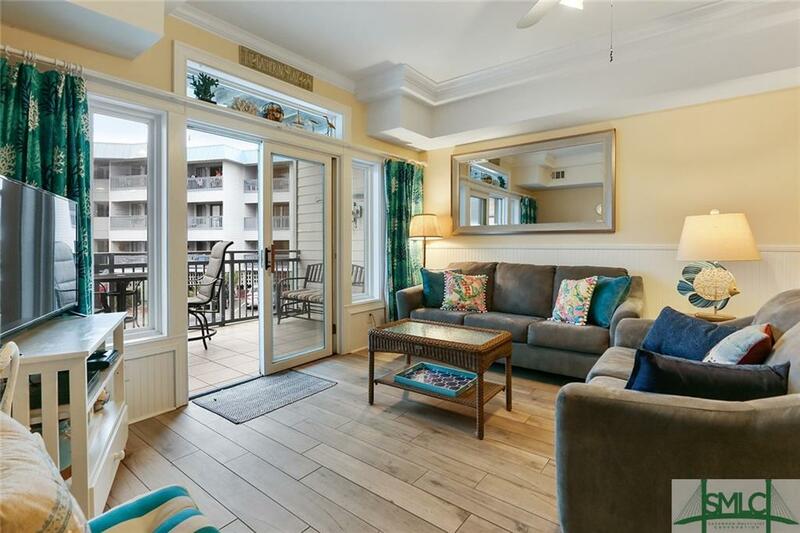 Freshly updated Bay View Villa condo - spacious 2 bedrooms and 2 bathrooms with unlimited views of Savannah River, dolphins, shrimp boats, and sunsets. 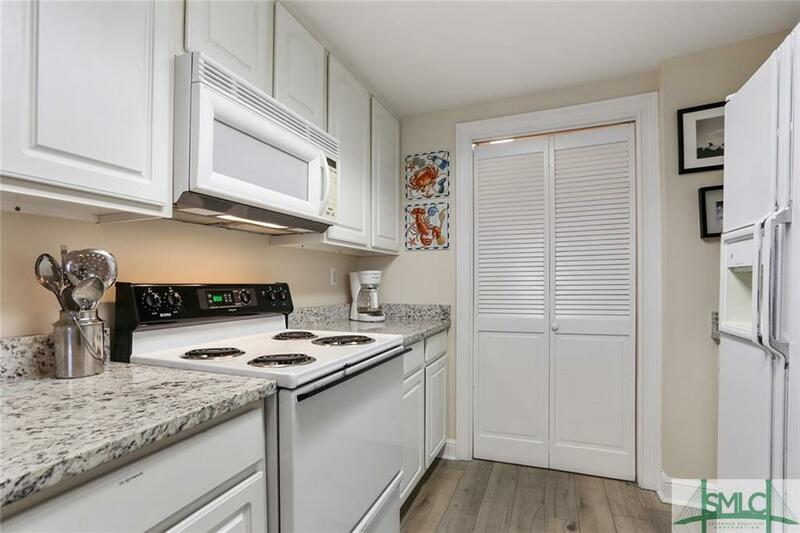 Condo features new porcelain wood-grain tile and soft carpeted bedrooms, granite counter tops, freshly painted and furnished with a tasteful, charming coastal theme, with wainscoting walls giving it a classic beach cottage look. 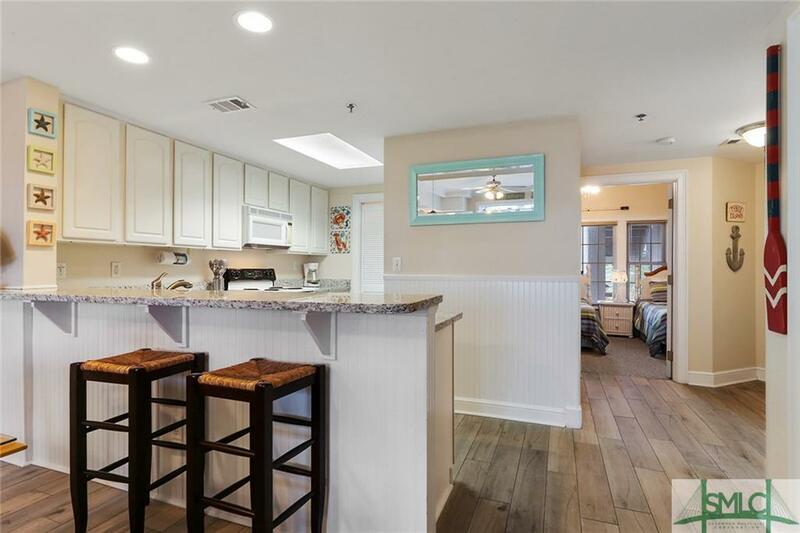 Master bedroom has a large private bathroom, jetted tub, walk-in closet, and a private door to the deck, which overlooks the pool and Savannah River. Or choose to stroll less than 50 steps on the private walkway over the dunes to the peace and quiet of the beach. The Condo Development is also warrantable!!! - (conventional financing available!!) 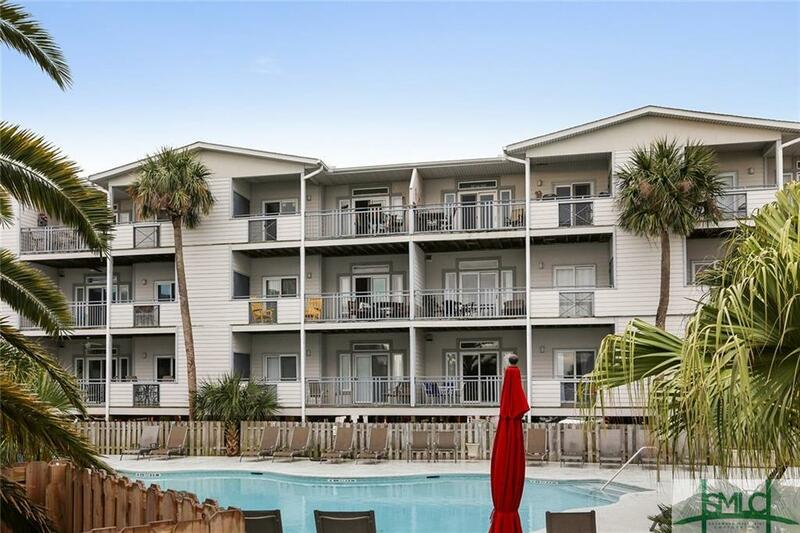 Time to buy the Beach house and move to Tybee Island full time or to escape when you can to an island paradise. Walking distance to restaurants, art galleries, coffee shops, quirky gift shops and much, much more. Time to buy your piece of island paradise.